I’m certain that all of you, my loyal readers, remember that last week I posted another super healthy recipe, Chicken in Parchment. Well today’s salmon is cooked using the exact same method, only with a different poaching liquid. 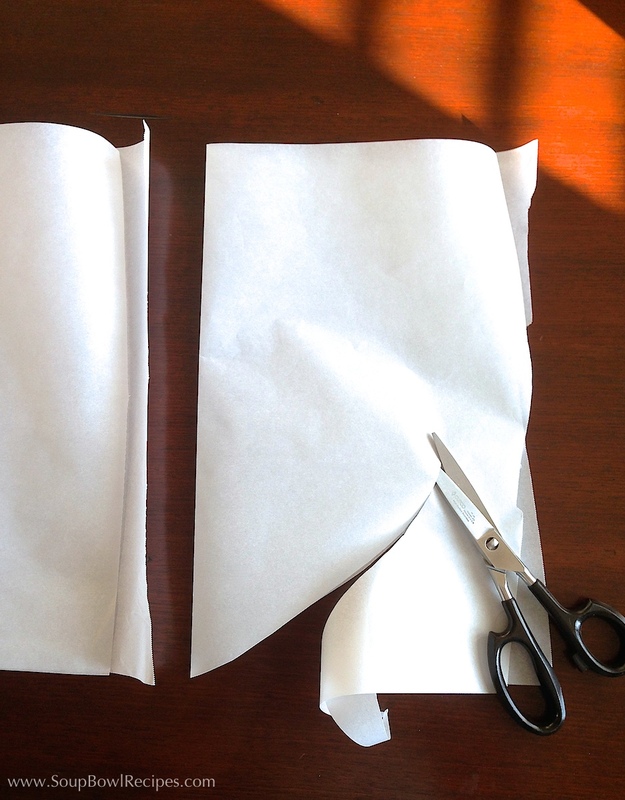 I am also certain, because you are such loyal readers, that every single one of you made last week’s recipe, loved it, and can now consider yourselves experts in the art of cutting out paper hearts and fashioning them into cooking packets. For those of you, however, who didn’t attempt my Chicken in Parchment (shame on you! ), I graciously copied and pasted the step-by-step instructions and included them in the recipe below. Don’t say I never did anything for you! 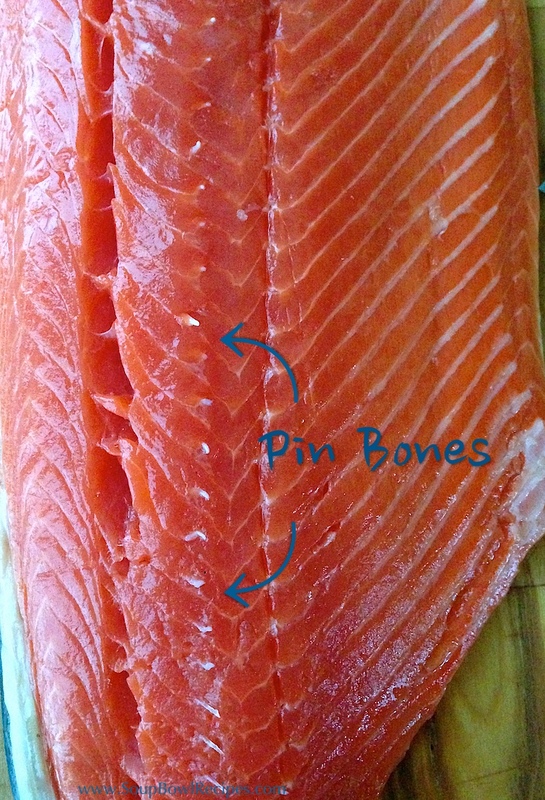 First, check to see if your salmon fillets have pin bones (the tiny “floating” bones that run the length of the salmon). 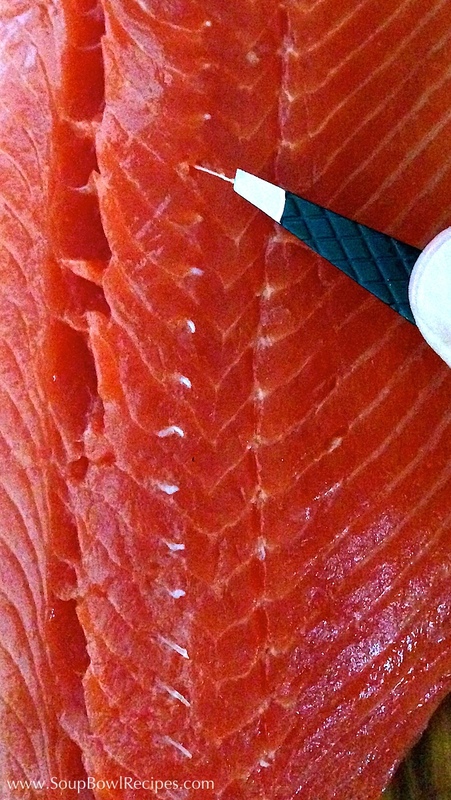 Some fish mongers remove them, but many don’t and the best way to check for this is by gently rubbing your finger upward along the seam of the salmon, if pin bones are present, you’ll feel them. With a clean pair of tweezers, grab ahold of the pin bone, wiggle a bit to loosen, then pull the bone straight out, almost in a downward motion, so as not to damage the soft flesh. Repeat with all remaining pin bones. LIGHTLY season salmon with salt and pepper, then rub 1 tsp of brown sugar into each filet and set aside. 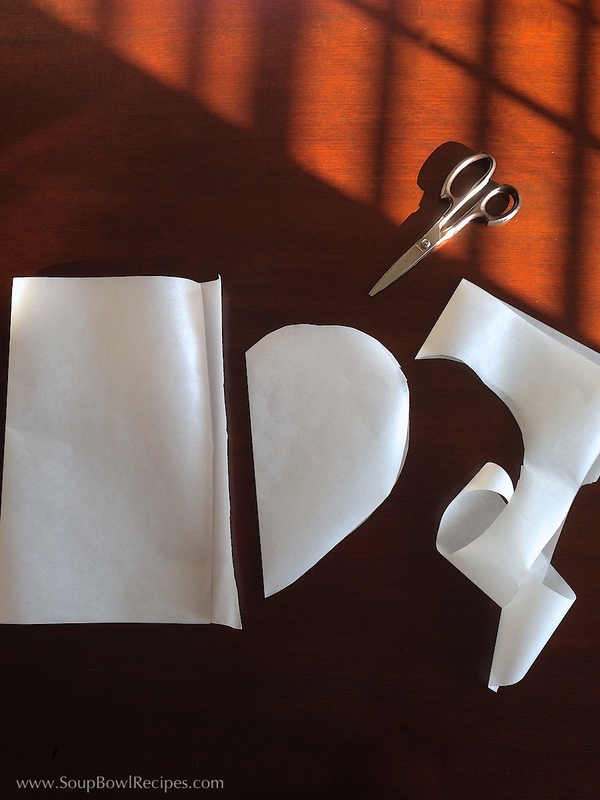 Fold 4 sheets of parchment paper in half, then cut into the shape of half of a heart. 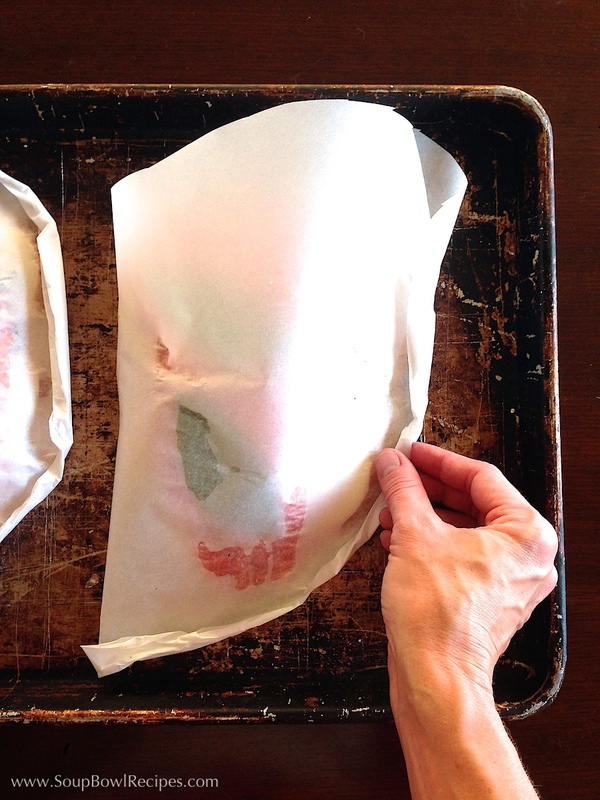 Place unfolded parchment hearts on a baking sheet (for 4 servings, you’ll probably need two baking sheets). 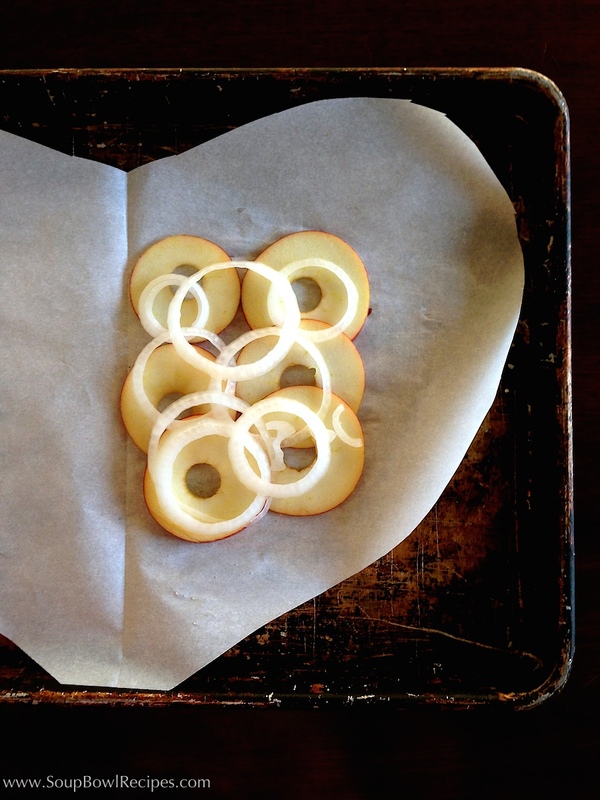 Divide apples and onions evenly among the 4 pieces of parchment paper, in a single layer, starting at the seam and stopping halfway across the heart. 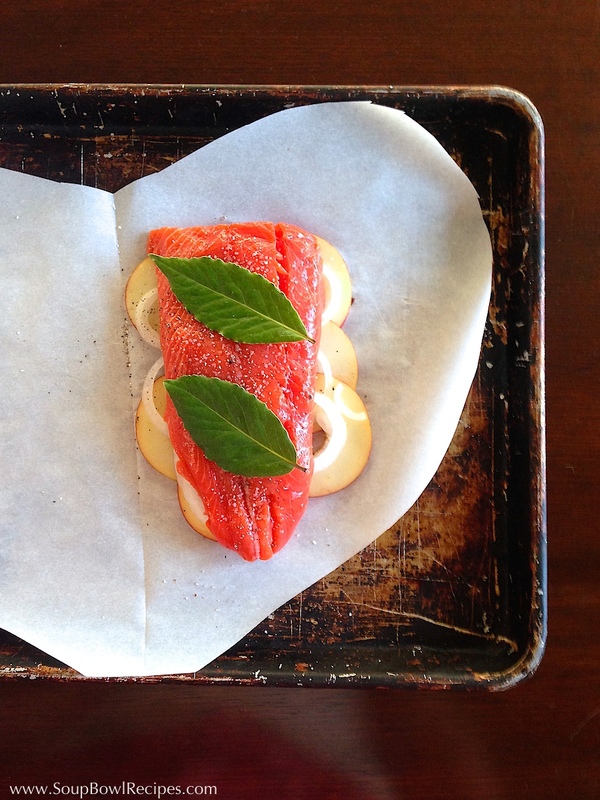 Divide salmon fillets evenly among parchment hearts, resting them on top of the apples and onions. Lay 2 bay leaves on top each fillet. Place baking sheets in the oven and cook for 12-15 minutes, or until salmon is just cooked through and flakes easily. 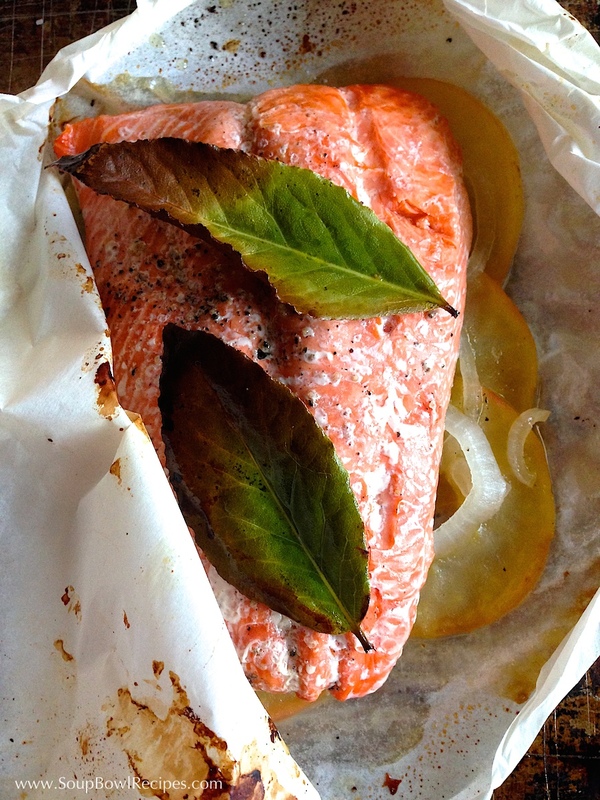 Once the salmon is cooked, remove baking sheets from oven, and using kitchen shears, carefully cut open the parchment packets. Allow salmon to rest for 1-2 minutes. 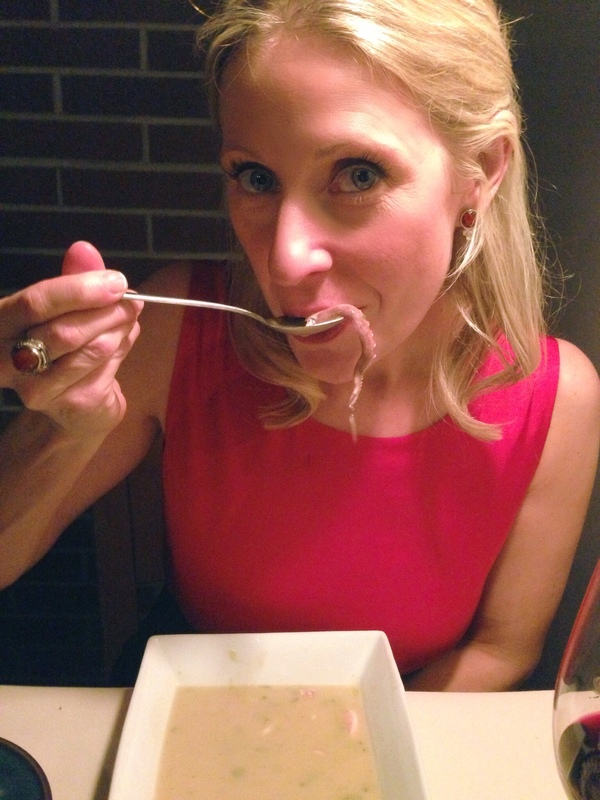 With a spatula, lift apples, onions, and salmon from parchment and lay over top of cooked brown rice or wilted greens. 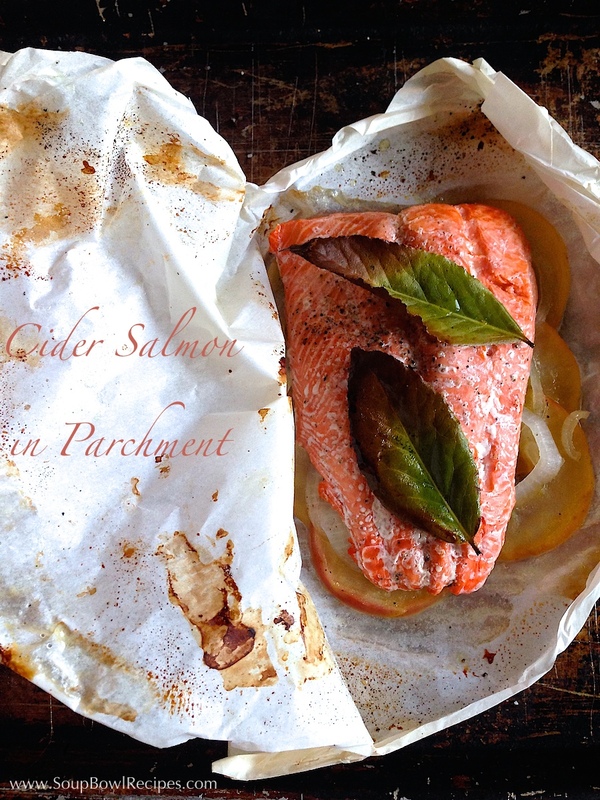 Drizzle 1-2 Tbsp of cooking liquid (from parchment packet) over salmon. Discard bay leaves and parchment paper. Sidekick: Serve with chilled glass of Chardonnay or a Chenin Blanc. Love this idea! 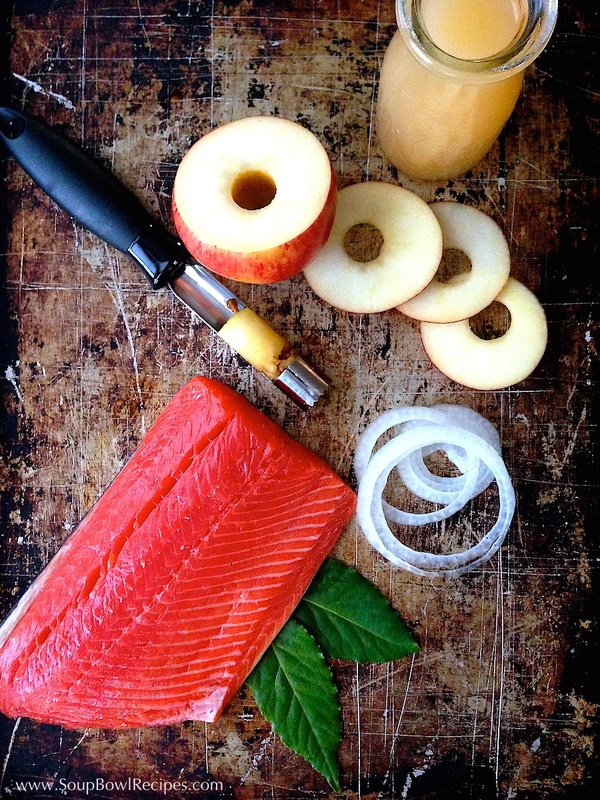 Have salmon on the menu this week and am now planning to make this instead of what I had planned. This looks yummy!! !